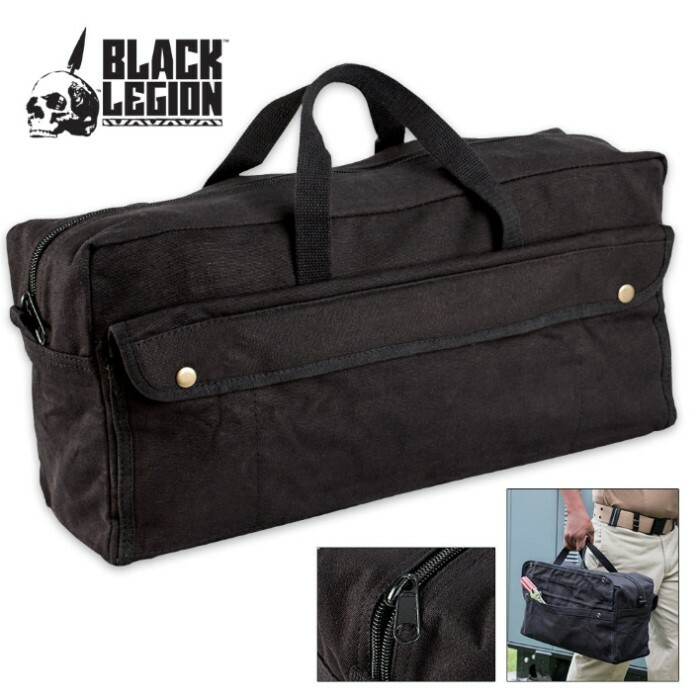 Black Legion Jumbo Mechanics Bag | BUDK.com - Knives & Swords At The Lowest Prices! Store and carry all your essential mechanical tools in this oversized Jumbo Mechanic's Bag presented by Black Legion. 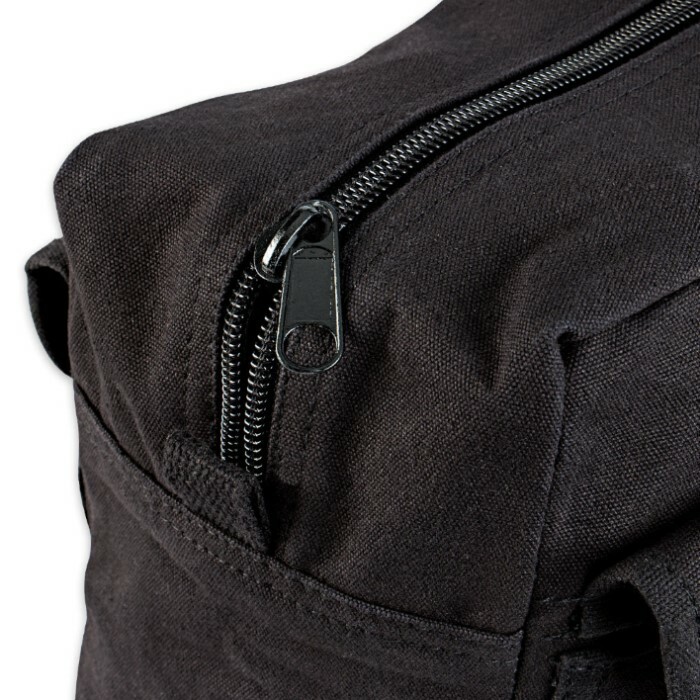 Made of black heavyweight cotton canvas material, it features a large zippered main compartment and two snap accessory compartments. 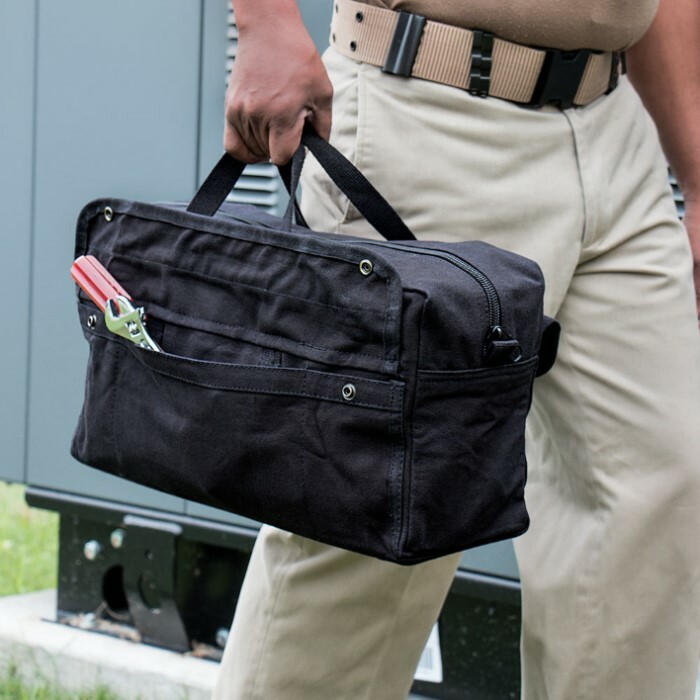 Inside dividers allow you to keep the contents of your mechanic's bag organized, and the hard bottom helps the bag keep its shape and stand up to years of good use. The heavy-duty, rugged cotton web handles are comfortable and strong. Measures approximately 19" x 9" x 6" overall.